Set up and continues to run “Lucan’s Neighbourhood Watch network”. Read more. Secured car park street lights for Weston Hockey club/ Lucann Harriers club house car park. Assisted many estates and residents with footpath repairs, road signage and other estate management issues. Facilitated residents groups with community clean-up’s by providing materials and arranging pick-ups. Through my work as a councillor, I became very aware of Men’s shed network in other areas around the country. I researched the Irish Men’s Shed association and connected with Men’s Shed leaders from other areas to see if a Men’s Shed in Lucan would be viable. I called a public meeting to gauge interest in March 2017 and on that night we setup Lucan's first Men’s Shed. The Men’s Shed is steaming ahead and is currently located within the grounds of The Irish Wheelchair Association on the Newcastle Road. I continue to help and support the Men’s Shed in any way I can. 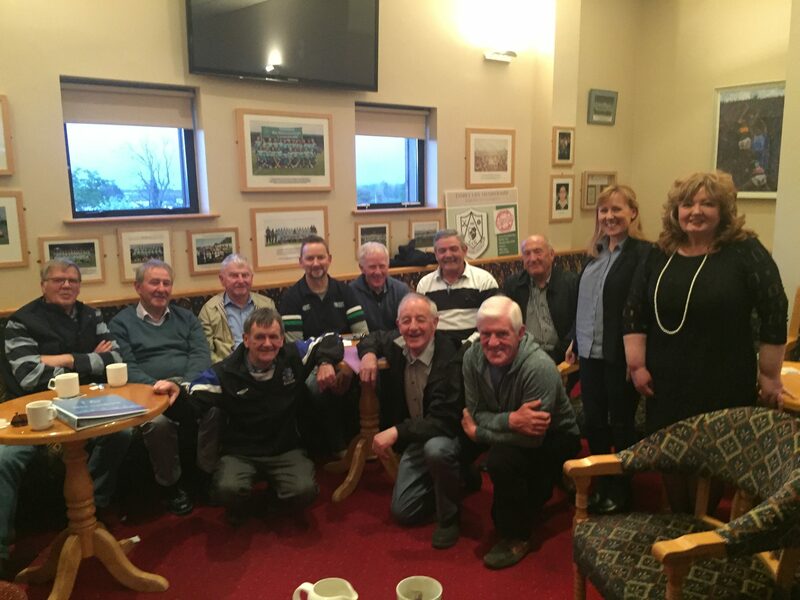 If anyone interested in joining the Men’s Shed or just to connect with them then please contact Eamon at 086 8178315 or email lucanmensshed@gmail.com. Alternatively you can contact myself and I can put you in touch. I initiated and assisted with the 1916 Joint Commemoration event held at Lucan Sarsfields in May 2016. I approached 4 groups/clubs in Lucan, Lucan Sarsfields, Lucan Harriers, Lucan Gospel Choir and Westside Stage and proposed that they held a joint commemoration event and apply for funding through a joint application. I assisted throughout the preparation process and working with each group and also liaised with the council. The efforts of the 4 groups resulted in a great commemoration event including singing, dancing, acting, a very spirited reading of the proclamation culminating in a flag rising ceremony by an Air Corps officer from Lucan Sarsfields. 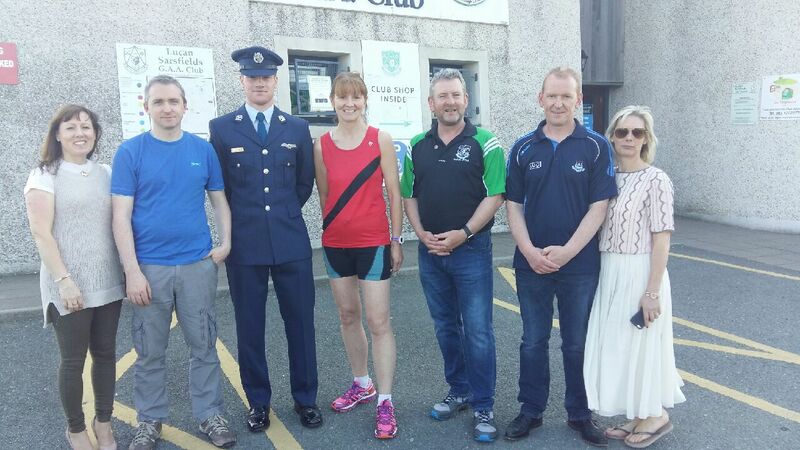 Throughout the day both Lucan Sarsfields and Lucan Harriers held exhibition athletic and match events. In 2013 prior to being elected, through my volunteering with my local schools Parents Associations, sports clubs and other community groups, I could see that there was a demand for a walking group in Lucan. 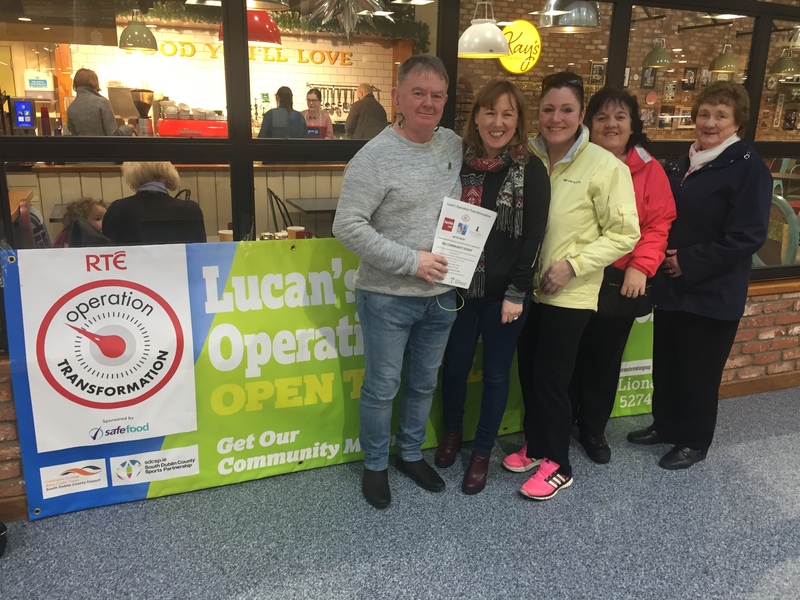 As the TV program Operation Transformation was so popular around the New Year every year, I decided to setup Lucan’s Operation Transformation. The first set of walks in January 2014 following the TV program was a huge success with over 200 walkers taking part in the first year. We now run the walks on an annual basis starting in January of each year. The success of the walking group has led to some members now regularly walking throughout the year and others have taken up running through running clubs and Griffeen parkrun. A number have successfully completed races from 5k’s up to Marathons. I ensured that the provision of an apiary(Bee Hive) was included within the county Development plan in 2016. A member of the public had proposed an Apiary in Waterstone Park during the County development public consultation however the Council management did not include an apiary in the next draft of the plan. Following my motion, the Apiary was finally included in the County development plan. I contacted the Bee Keepers Association to identify potential Bee Keepers who could help manage the hive. Once a bee keeper was identified, I facilitated a series of meetings between the bee keeper and the Parks department to ensure that the Apiary became a reality. Following months of preparation the Bee hive was established in April 2017. An alternative more suitable location was identified off Mill Lane rather than with Waterstone Park. 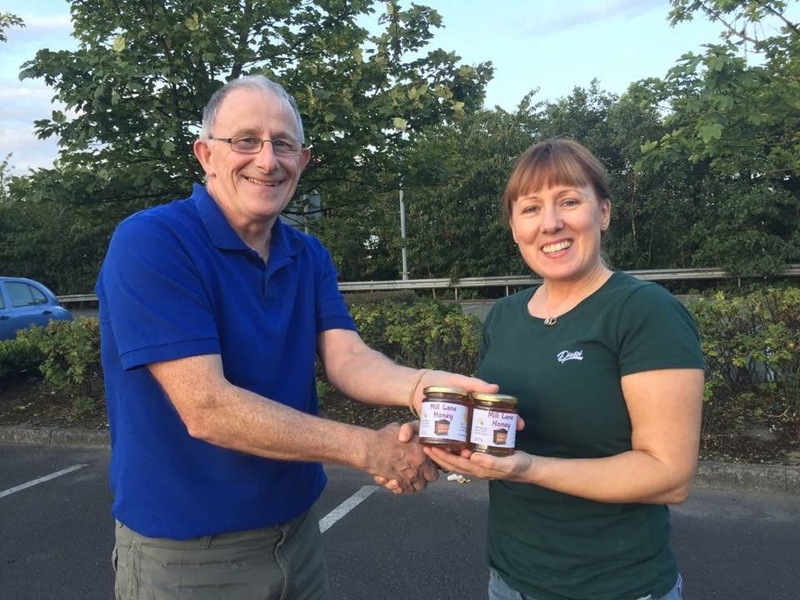 The first honey produced was available in limited numbers in August 2017. The Apiary is a continued success and I am currently progressing an apiary in another location within Lucan.